No idea if it came like this, or if conditions in my humi cause it. I checked ALL my other sticks in a panic, and they all looked OK. humidity is (and has been) stable around 70%. Temp has also been stable. The temp in my livingroom changes the least in my house, compared to the bedrooms. Im guessing there is nothing I can do to salvage this stick? Eek. I don't think so, NYHC. That's a pretty bad crack. If it were me, I'd go ahead and smoke it, though. You might get a good smoke out of it for a while. If not, well, you're not out anything for trying. Might try some cigar glue (pectin I think), but the stuff tastes nasty. I'd gift it to a pipe smoker to grind up and smoke. Good karma. I'd give it a go, whats the worst that could happen? let ccom know about it. They recently replaced 2 Rocky Old Word Reverve stick that I got from them with similar cracks. They stand behind their product. nope, I emailed Tim about an Alec Bradley SCR robusto that I had once, as soon as I cut it, the cigar totally fell apart on me, (and no, I didn't cut below the shoulder) The cigar cracked up the middle and just became unsmokeable. Tim sent me a replacement, plus one. Top notch customer service! I like those RP Connecticut's with my morning coffee. 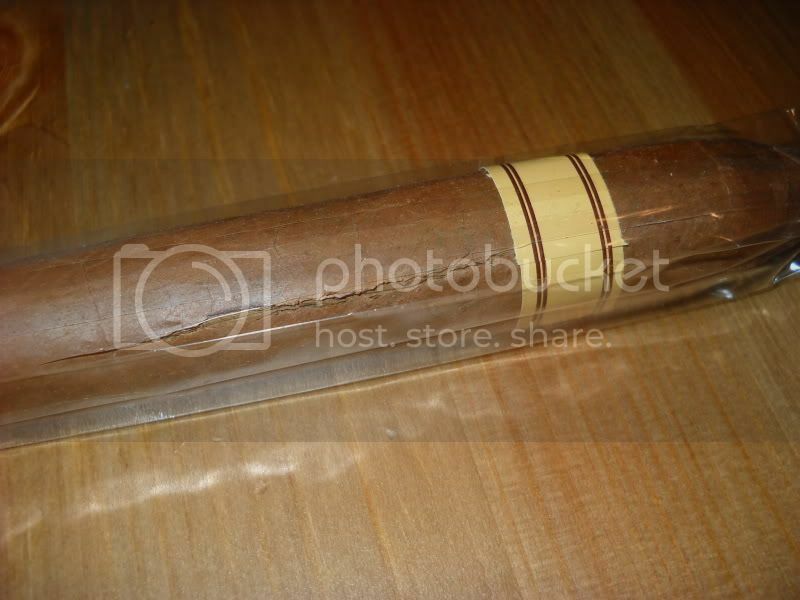 I have fixed cigars with pectin before, I noticed no change in flavor or burn quality.